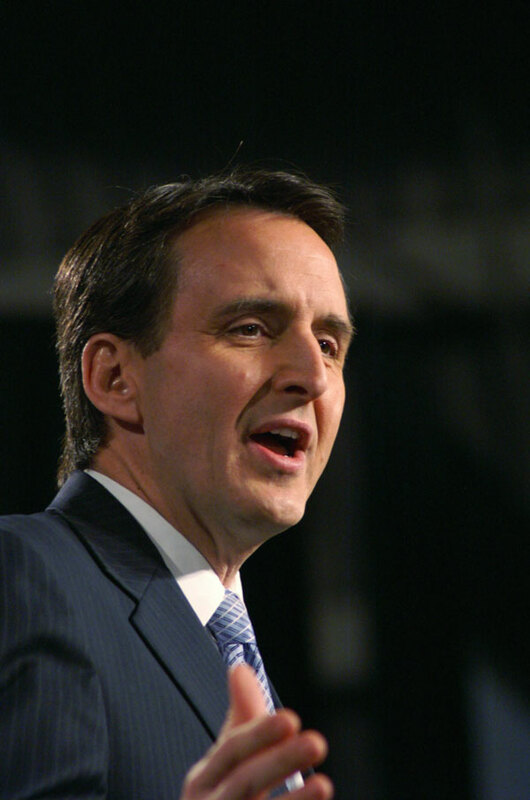 Today White House 2012 offers a look at former Minnesota Governor Tim Pawlenty. 2002; Pawlenty campaigned and won on a pledge not to raise taxes to balance the state’s budget deficit, requiring visa expiration dates on driver’s licenses, a 24-hour waiting period on abortions, implementing a conceal-carry gun law, and changing the state’s education requirements. Pawlenty defeated 2 challengers in the GOP primary and eventually his opponents in the general election. 2006; Pawlenty was reelected Governor of a margin of little more than 1%. This victory was despite DFL gains in both the state House and State Senate and a big gains for Democrats nationally. There is no reason why Tim Pawlenty can’t be on the ticket. However; Pawlenty became one of the first people to declare their candidacy for the Republican presidential nomination and he became the first to withdraw from the race for the Republican presidential nomination. And the same reasons which led to his withdrawal from the race may be the same reasons he is not nominated for the vice presidential nomination. Another reason he may not be on the ticket is because he has stated that he is taking himself off the list of candidates for Romney to consider for Vice President, and that he doesn’t even want to consider the position. Still, that doesn’t mean he is not being considered for the job or that he will reconsider his earlier stated thoughts. Pawlenty campaigned long and hard. His campaign team was top notch and his campaign was initially financed fairly well and he did just about everything right. He had a good message, well done ads, and a good strategy. The only problem seemed to be the messenger. Tim Pawlenty seemed to be the kid in the classroom who always had his hand up while howling “ooh, ooh” but failed to interest anyone in what he had to say. So one day after the Ames Straw poll in Iowa, he dropped out of the race. Despite those circumstances, Pawlenty is a top quality conservative leader with a great record on social and economic issues and he is an extraordinarily competent executive. Such qualities make Pawlenty a top contender for the vice presidential nomination, at least on paper. He is certainly not the type of running mate that any presidential nominee has to fear being overshadowed by. All this means that Mitt Romney could easily tap Pawlenty for Vice President. 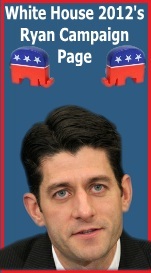 He comes from a state that the G.O.P. 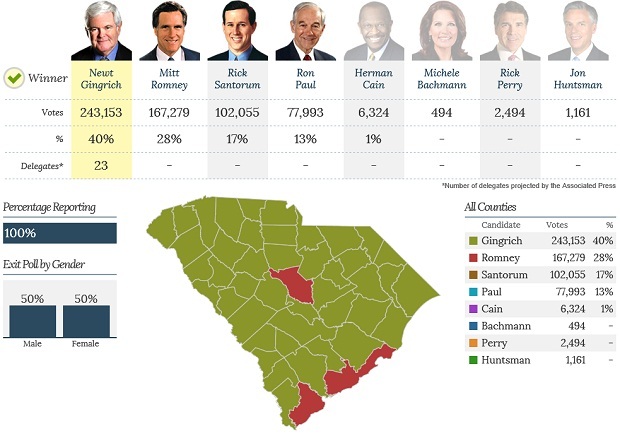 could use help with and which if they could win, would leave the Obama-Biden ticket in deep trouble. He also appeals to many Midwest voters and lacks much of the luggage that other potential running mates have. 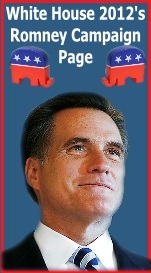 But Romney may want and need a running mate who excites at least one demographic group far more than T-Paw does. Given that fact, even though Pawlenty is a safe choice and Romney likes playing it safe, there are several other potential running mates who are equally as safe as Pawlenty but bring a touch more excitement to the ticket than he does. President Barack Obama’s Georgia supporters may be disappointed come election day. 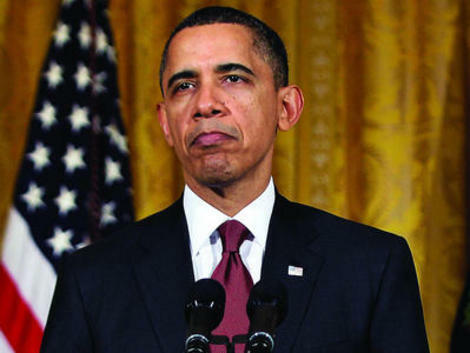 Five men challenged Obama’s eligibility to be a presidential candidate on the Georgia ballot arguing he is not a “natural-born citizen.” This has been the stance of those now called “birthers” since former democratic presidential candidate and now secretary of the state, Hillary Clinton, brought forth the issue in 2008. Former Congressman and current Georgia Governor, Republican Nathan Deal, was notably outspoken in questioning Obama’s birth eligibility. December 10, 2009, a letter arrived at the White House impugning Obama’s eligibility to be president from Deal. GOP Presidential teaser Donald Trump also jumped on the birther bandwagon in 2011. When Obama finally produced a birth certificate, many thought this case was closed. David Weldon, Kevin Powell and Carl Swinson are a few of the plaintiffs who, with the help of The Liberty Legal Foundation, have successfully challenged Obama’s eligibility. Obama filed a motion to dismiss the complaint. This motion was challenged by The Liberty Legal Foundation. The motion to dismiss was denied by Judge Malihi. All parties are ordered to appear in Federal Court on January 26th at 9 am. The ramifications of this court possibly ruling against Obama and keeping him of the Georgia ballot would be significant. For Georgian democratic candidates, it may leave them stranded. Voter apathy may increase and turn the democratic base completely off from the election process. Voter turn-out is crucial for democratic candidates. Voter turn out tends to be higher in presidential elections than in non-presidential election cycles. If voters believe they are not able to vote for their presidential candidate, they may not show up to the polls. This would improve the chances of an already republican stronghold to become a republican superpower. Although Obama certainly does not need Georgia to be re-elected, not having an incumbent president on he election ballot may give democrats the rallying cry they have been hoping for to galvanize support and overtake local, state and congressional majorities. Calls of disenfranchisement and discrimination could unite supporters and revive leadership and increase democratic presence in state and local legislature. The hearing is open to the public. The location is the Justice Center Building, 160 Pryor St, Atlanta, GA Courtroom G40 on the ground floor. 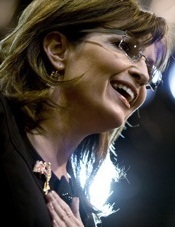 Draft Palin for President Ad That Will Air in Iowa is Released. Now What? Sarah Palin fans are still holding out hope for a Palin presidency in 2012 and one of her largest fan clubs, Conservatives4Palin are now debuting a television ad that they will be airing in the first in the nation caucus state of Iowa. The ad will air in the Sioux City, Iowa market and the target date for the ad for its initial airing is Tuesday or Wednesday of this week. Palin herself has not yet offered any opinion of the groups attempts to make herreconsider her earlier decision to not run but even if Palin were to reverse her earlier decision, getting on the ballot in most of the primary states will be impossible. Most state deadlines for ballot access passed in late October. So if for some reason she was to try to run in the primary, Pali would have to do so as a write-in candidate and that will be twice as hard as a normal campaign. In addition to trying to win on the issues and with a creative, well organized, campaign strategy, Palin would also have to run an educational campaign that would instruct voters on how to write-her name in on the ballot. And because of different systems and rules, those instructions are different not only in the various sates, but in many cases, they are different even in the various counties of the various states. But beyond an attempted write-in candidacy in the Republican presidential primaries, is the possibility of a third party presidential candidacy. For that, Palin still has the time needed to get the signatures and fulfill the different requirements necessary to get on the ballots of the individual states. That too is not easy, but at this point in time, it is more realistic than a run for the Republican presidential nomination. However, if Palin were to dare make an independent run for President, like Teddy Roosevelt in 1912, she would be more likely to cause the Democrat to win than get herself elected. Still, the drive behind this “Reconsider” movement is there and it is probably stronger than any support movement behind any of the eight major candidates currently running for the Republican presidential nomination. At the moment there is even a Draft Sarah Palin Facebook page, Draft Sarah Palin website, and dozens of similar smaller, state and local groups. Now that some of the most aggressive moves to draft Sarah Palin are being taken with this new ad, the question becomes, where do they go from here.? How Palin reacts to the ad and how much steam the effort builds has yet to be seen, but while many Palin fans, including myself, would have liked to see Sarah go for it, many others, again like myself, believe that her decision should respected and in my case, can not be reversed in time to run in 2012. 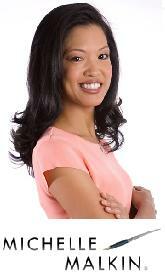 Adrienne Ross, an active player in C4P has herself made that case on C4P. I have great appreciation for the many people who have invested themselves into their support of Governor Palin. I trust that as we observe the roads God takes her–or doesn’t take her–down, we will honor her decisions, we will respect one another even when we passionately disagree, and we will continue to be for her. For me, part of that process is taking her at her word, focusing on what I can do to promote what she’s committed to now, and watching the mighty impact we will make. Now, that is the kind of earthquake that will do her proud. I believe it was difficult for Adrienne Ross to take such a strong stance in opposition to the enthusiasm of her usually like-minded friends. She, like I, share their enthusiasm, faith, trust, and belief in Sarah Palin, her judgement, her instincts, and her abilities. But like Adrienne Ross, I too believe that when calling upon that judgement, those instincts, and that ability, becomes akin to pulling teeth, that is the time when you when you must let things fall where they may. And it is important for Palin fans to remember that they should not give up on the cause. The fight continues, we just have to use different weapons and by actively participating in the Republican presidential nomination, they can help us pick the strongest weapon available for us to fight with in next November’s election. And you can bet that Sarah Palin will be there to help us. While the media tries wring out every last drop of negative innuendos and distortion out of the more than decade old, false sexual harassment charges against Americans for Herman Cain has out, calls the left wing establishment out for their characteristic “lynching” of African-Americans who disagree with the Democrat Party’s liberal agenda. American’s for Herman Cain is not affiliated with Cain’s actual presidential campaign. It is a super PAC, that can raise and spend any amount of moneyh it can in support of Herman Cain. The ad uses such notable hypocrites and socialists and communists as Hollywood’s Harry Belafonte, New York’s Al Sharpton, and liberal academia’s Professor Cornel West of Princeton University, or who I commonly refer to as Snagglepuss. Each of them chastise Herman Cain. West tells Herman Cain to get off the symbolic carackpipe, Belafoolte says Cain is denied intelligence, and in what ends up the most hysterical case of the pot calling the kettle black, Al “Tawana Brawley” Sharpton says that Cain is either “”socially ignorant, or playing games to get vote”. Can you imaging that? 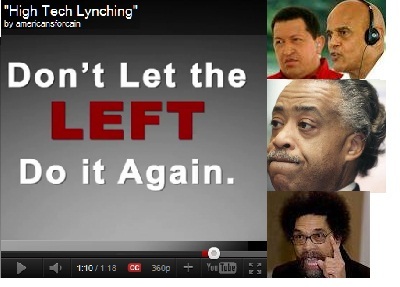 Al Sharpton accuses others of playing games to get votes. That coming from a man who has taken part in conspiracies designed to inflame racial tension, inspire civil disobedience, and fuel class warfare, dares to blame another person, living or dead, of playing games to get votes. That says it all folks. But to punctuate the point Herman Cain is conveying, the ad utilizes the famous remarks from the man who is the best living example of liberal hypocrisy and injustice there is…….. Supreme Court Justice Clarence Thomas. Cain’s ad closes with Thomas summing up the actions of the liberal media and the liberal senators who used Anita Hill’s false accusations of him as a modern day form of a lynching of the black man who disagrees with them. Up to now, Herman Cain has not helped himself in this sexual harassment matter. He has was unprepared to respond to a story that he knew was coming out about these past accusations and when he did start responded to the story, he did so in a way that seemed to consistently contradict with each answer previously given by him, was slow to reveal those facts which he did know, quick to claim he forgot facts that he suddenly remembered, and in general did little to make people confident in his total innocence in the matter. Cain had a chance to control this story before it came out. Instead he allowed Politico, then the rest of the lamestream media to control the story and possibly Cain’s fate. I have to say that I am disinclined to support Herman Cain now, based just on how he handled this episode. And I believe that the accusation against Cain were false. However, regardless of how Cain’s campaign mishandled this, this new web ad is should be a hint as to how he should handle this from now on. But the credit for the spot most likely goes to Jordan Gerhke, the campaign manager for Americans for Herman Cain and a political consultant with expertise in the area of direct messaging. I profiled Gerhke in a previous White House 2012 post that reproted the creation of the Herman Cain for America’s “9-9-9 Fund”. Gehrke’s ad should be an example that someone over at Team Cainshould follow. 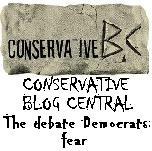 With Mark Blockhead running things, Cain seems to be atr a disadvantage and needs some of strategic intelligence. If Cain only had the money and talent to turn this ad in to a thirty second spot and air it in the most effective media markets in New Hampshire, Iowa, South Carolina, and Florida. If that were the case, he might be able to establish himself as a longterm frontrunner.